About one in five of the population are intolerant to the food that they eat. Most have sensitivities to a range of different foods making preparing food a nightmare, and sitting down to a meal can be torture. What can they eat without getting ill or running the risk of nutritional deficiency? What can they cook for their family and friends? This book is the perfect guide to how you can restrict the ingredients that cause you problems and still prepare a whole range of recipes that are simple, fun to cook, and delicious to eat. 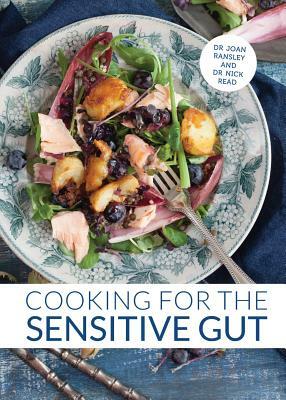 From fresh and healthy breakfast ideas, to wholesome main dishes such as Butternut Squash and Coconut Laksa, cooking for the sensitive gut has never been so easy. Straightforward and authoritative advice from a gastroenterologist and nutritionist means it's never been so easy to learn how to treat your tummy well. Includes dual measures. Dr. Joan Ransleyis a nutritionist, cook, food writer, and nutrition professor. She writes a column on food, nutrition, and cookery in the Yorkshire Post.Dr. Nick Read is a gastroenterologist and a psychotherapist. He is the Chair and Medical Adviser for The IBS Network."